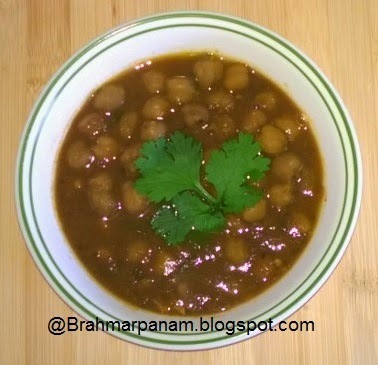 Protein rich chickpeas (channa) in tomato gravy makes a yummy side dish for chappatis / poori or batura. Wash and soak the channa for 6-8 hrs and then pressure cook it for 6 whistles along with the tea bag and salt and keep aside. Heat the pan and add the oil, bay leaf and cumin seeds. When the cumin seeds crackle, add the ground mixture and cook it for a few minutes. Then add the cooked channa after squeezing and removing the tea bag. 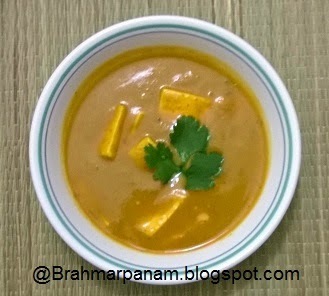 Add the Kasuri methi, turmeric, sambar powder and salt and allow it to cook for a few more minutes so that all the flavors blend in. Remove the chole from fire and add the lemon juice and mix well. 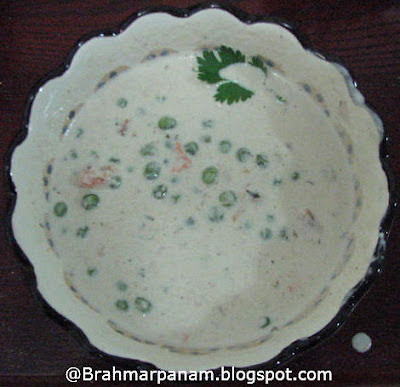 Garnish with chopped cilantro and serve hot with roti/ poori/ batura/ rice.